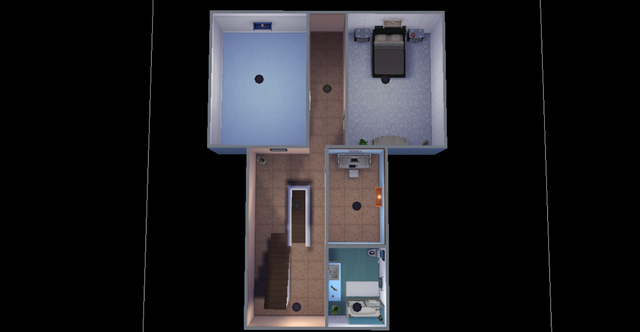 @RoryPlaysSims and @ambrjet on Twitter collaborated on a challenge called #SpringtimeSims. 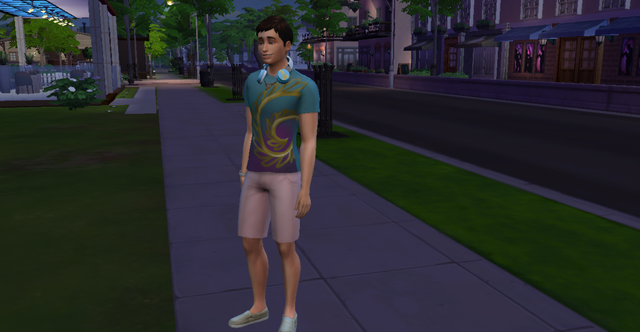 I made this Sim as a result and liked him so much that I decided to start another Rosebud Challenge. Meet Clayton Hughes. He loves the outdoors, enjoys making friends, and is a happy dude. 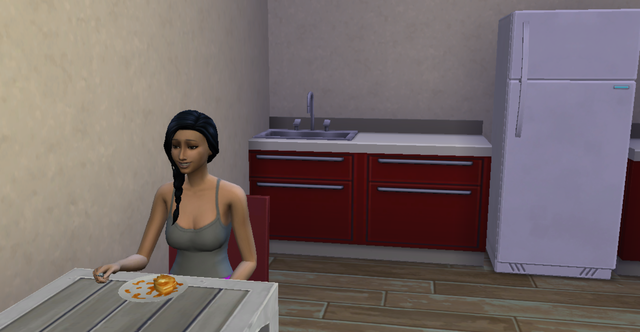 He's trying to make his fortune in Newcrest as an aspiring writer. 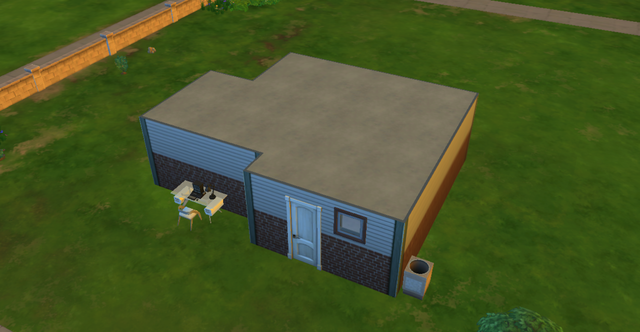 Since Clayton had nothing, he started using his neighbors for a much-needed bed. 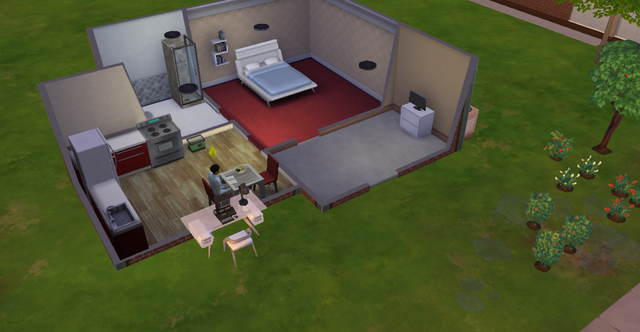 And after a few weeks of scavenging, his home is slowly starting to come together. And right before his next birthday too! Next up, is there anyone out there for Clayton? 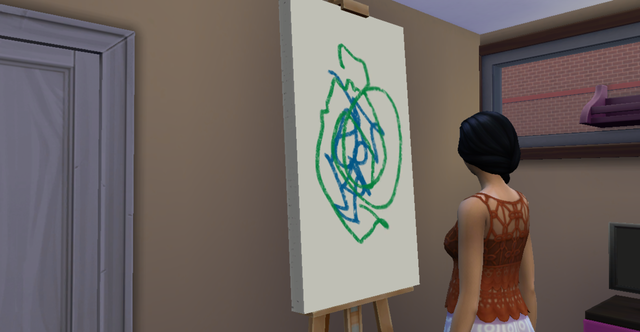 I started this challenge within another save, so the Rosebud achievement has already been unlocked. 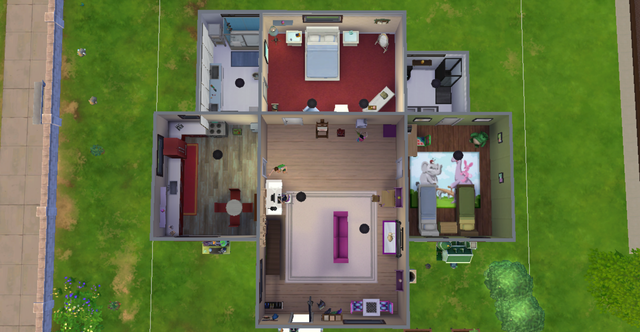 In lieu of keeping track of the household value from that, I will keep a track of the Lot Value in build mode and add that to the family's money on-hand. Happy to see a new story. 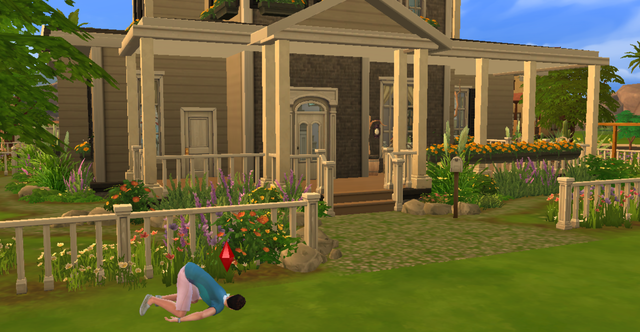 After Clayton celebrated his birthday, his household bills were due. Great way to start the next phase of one's life, right? Well, it turns out it was because his mail carrier was Miss Naomi Tribble. It was a whirlwind romance. Naomi was creative, loved the arts, and always laughed at Clayton's jokes. 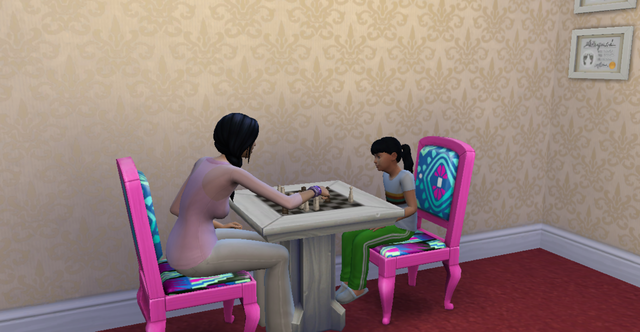 They settled into home life together quickly. 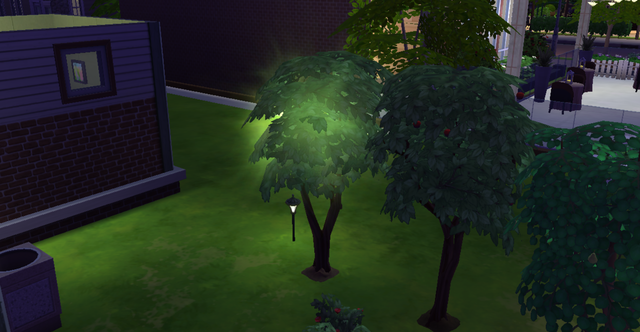 Naomi started in the Painter career, and Clayton continued writing and maintaining his ever-growing garden. 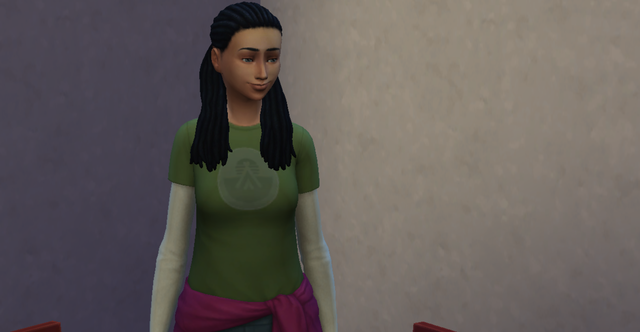 He even met the Garden Guru, Jasmine Holiday, who gave him information and supplies about some special seeds. Even though the lovebirds got along swimmingly, there was one point of contention. 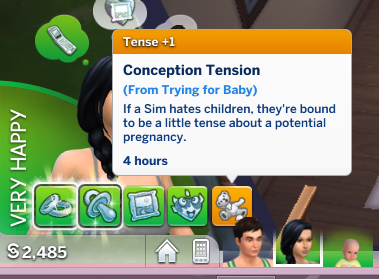 Naomi did not like children. At all. And had no plans to ever bear any. She and Clayton talked about it constantly to find a middle ground. 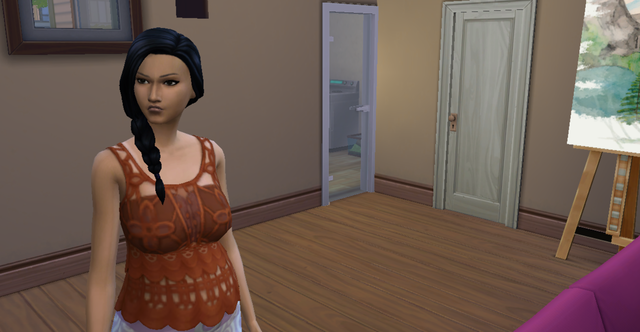 Clayton suggested adoption, but Naomi disliked that option even more. 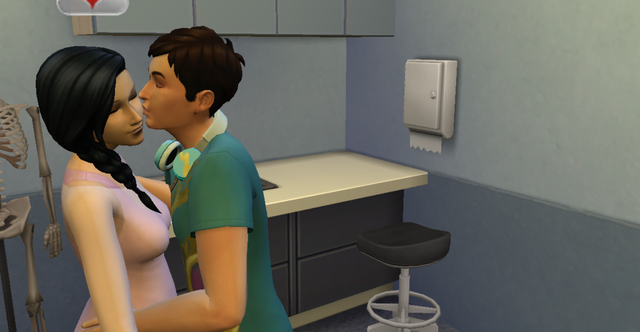 As they grew together and worked on solidifying their careers and relationship, Naomi thought that maybe if their potential baby was a melding of her and Clayton, she wouldn't dislike them too much. So they decided to try. 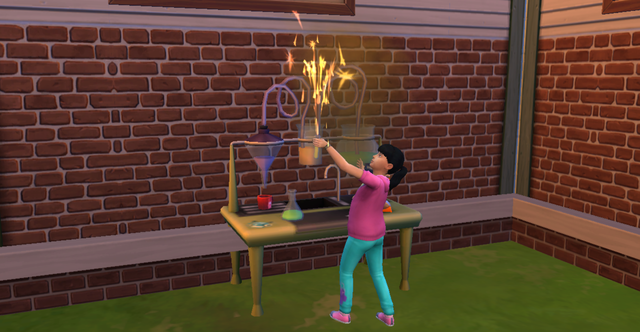 In the end, she may like the product of their union, but she definitely didn't like getting there. 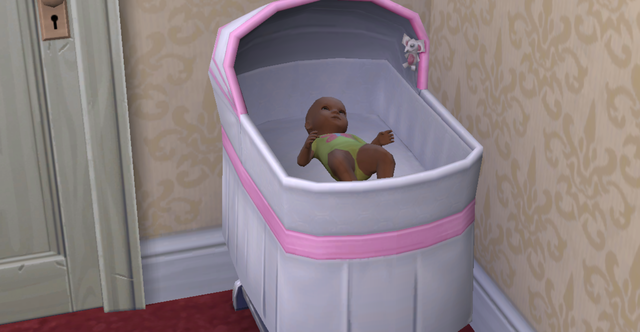 But before you know it, Gabriella Hughes, the heir, was on her way! All was right in the world. 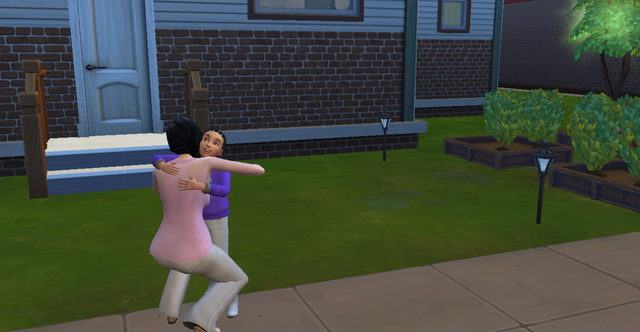 Naomi loved Gabriella more than anyone else in the world. And Clayton was her soulmate. 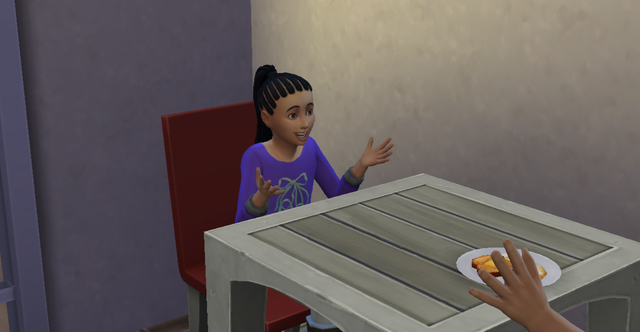 So soon after Gabriella was enrolled in school, the Hughes eloped! 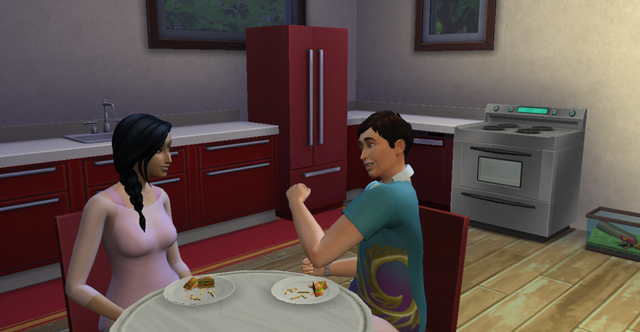 (I have a thing for having couples exchange vows in the kitchen. 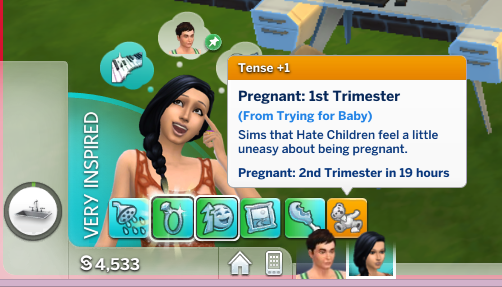 lol) And VERY soon after that, baby #2 was on its way! 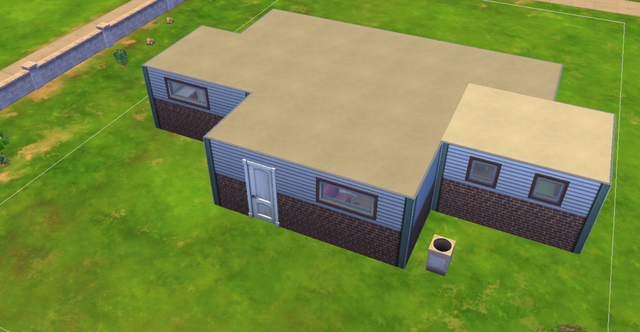 Here is the house building progression over time. 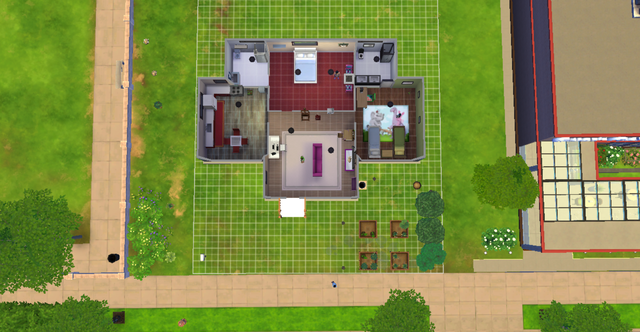 And Household Value comes to a total of almost 50,000 simoleons. 5% on the way to a million! 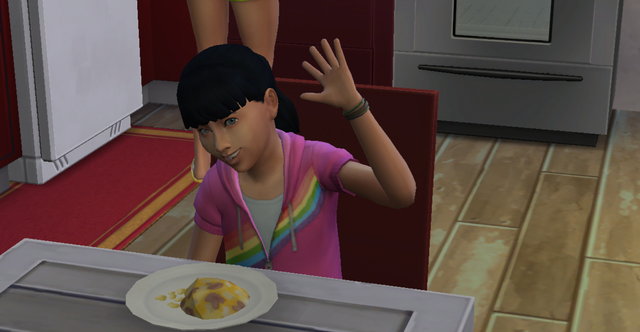 Gabriella is cute and will make a great heir. I also like the way your house is shaping up. FYI: (Again) Now is the perfect time to complete the Curator Aspiration. The Eggs are fairly easy to collect and do count towards the "Complete a Collection" goal. 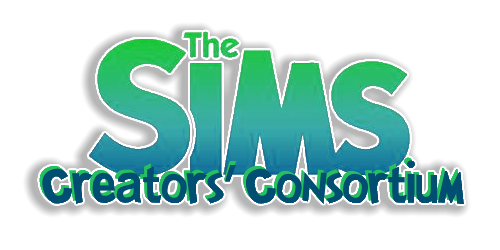 Once completed the Curator Aspiration allows you to Sell Collectibles to the Simsonian Museum for extra money. Hahaha. Thanks, EQ! 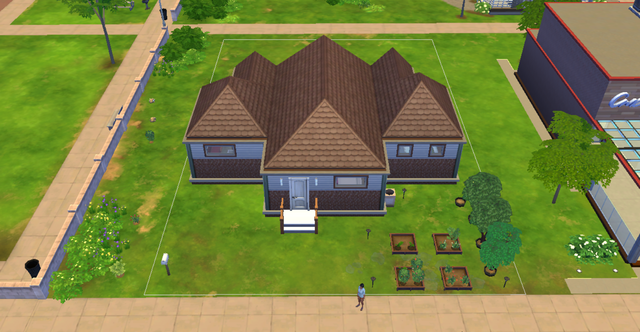 I actually decided to put a roof on this one. And yes, I read that 21 growfruit is the way to complete both challenges, though I don't know if I'll get a perfect growfruit in time before the next patch comes and the challenge is over. But we'll see! I'll have to do some strategic grafting. And we're off to the races! Meet Sylvia Hughes, our second generation Whiz Kid. 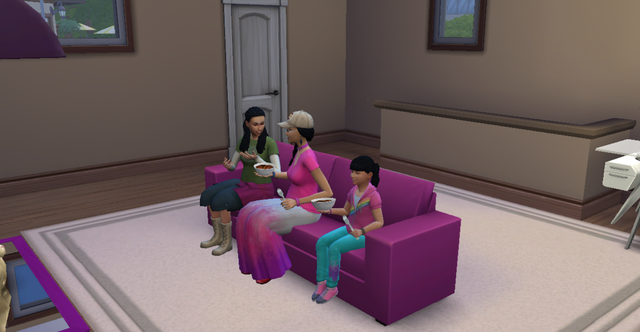 And family life continued until Gabriella aged up into a teen! House progression over time. I love basements; no need for replacing roofs and easily expandable! 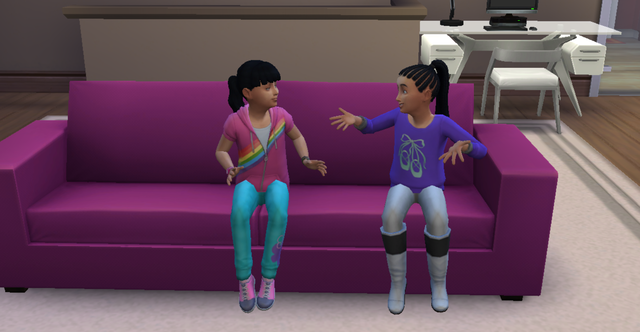 And also, it'll eventually spruce up into a nice teen lair for Gabriella and Sylvia. 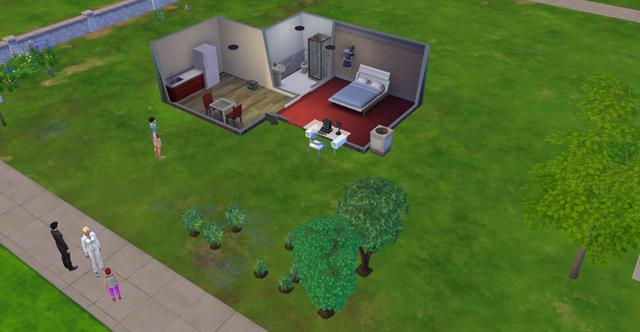 And I just realized that the Free Services bonus reward trait is a GREAT use for Rosebud households. 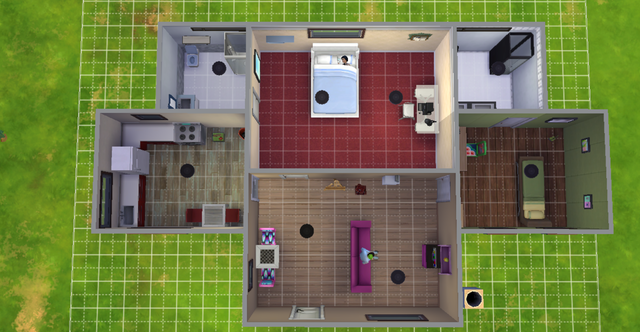 No need to spend time on repairing things or spending money to replace appliances when you can get all one-time services for zero simoleons! Good point, EQ! The egg collection is quite easy to obtain! They are also great household decorations. Powerful happy boosters of +3 Environment and are extremely low-cost, so it won't affect your bills! I'm all caught up. You've made nice progress.